I’m going to try avoiding the overwrought superlatives, symptomatic to reviewers exposed to albums such as this, but be strong– I will most likely fail. 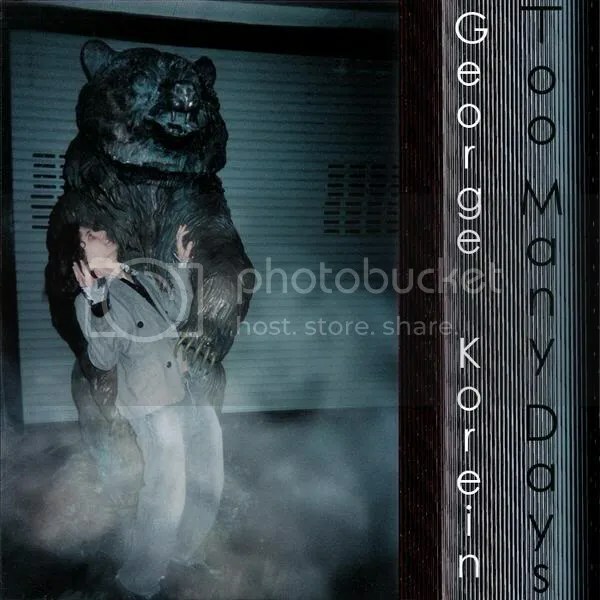 George Korein’s “Too Many Days,” co-released by Texas-based Galvatraz Records in the States and across the pond by Peacific Alliance, is a tailor-made excuse for wannabe Wire-staffers to trot out their multi-syllabic prose. But what else can you do when your jaw is resting on the space bar? Here, Korein’s work shuttles effortlessly from “Too Many Days,” a possible outtake from Dr. Bob’s “Dark Times” school of paranoid moodiness; to the Buddy-Holly-makes-a-ghetto-tech-album of “Quiet Now,” blending into a freak-out Wilson Pickett a la Mayhem “Writhe, Sally, Writhe.” It’s incredible that any of these tracks exist, let along co-exist— and to have them blending together enough that I’m still not exactly sure where one leaves off and another begins?? Baffling! While listening, I kept thinking that the album sounded something like a mixtape, but oddly, a solo mixtape… It’s the theory that sells iPod shuffles; that a lot of different things are going to sound seamlessly great together, but face it– they’re going to be anything more than just randomly-constructed ironic pastiche. For Korein, who effectively channels Frank Black, US Maple, and The Residents when he’s not tossing off songs that sound like a Breakfast Club soundtrack b-side; “Too Many Days” must have felt great to make. The joy of unrestrained creative is unmistakable, and a marvel to witness. This entry was posted on March 6, 2007 at 10:36 pm and is filed under experimental, experimental music, music review. You can follow any responses to this entry through the RSS 2.0 feed. You can leave a response, or trackback from your own site.